David joined the program as the Director and Head Coach in 1998, charged with the goal of "revitalizing Proctor's 150 year old legacy in ski racing." Prior to Proctor, David's thirty year coaching career has encompassed elite athletes and NCAA D1 colleges through fledgling U10 junior racers. He has a true, contagious love of the sport and believes "ski racing is a powerful tool to develop great kids." He also takes pride in the technical aspect of ski racing, and has worked for both Solomon and Rossignol in race service and as a boot specialist servicing athletes at all levels. With a lifetime spent in ski boots, David has helped athletes find success both nationally and internationally, from World Juniors and US Nationals to Junior Olympics and Regional Championships. He lives in Peabody House dorm with his wife and two sons, Lagan and Churchill. University of Vermont - B.S. Morgan joined the program with her husband David in 1998. As a racer she competed on NCAA Div.1 teams at both UNH and NEC and served as Captain her senior year. Named an All-American Scholar Athlete she also rode for the UNH equestrian team. Morgan has been coaching for 20 years; from FIS through U16's and also serves as the ski team's academic liaison, facilitating success in the classroom as well as on the hill. Morgan and David serve as dorm parents in Peabody House with their two sons, Lagan and Churchill. Proctor offers an unbeatable experience. In an age of sport specialization, we offer a sport-specific model within a mainstream college preparatory school, which also allows athletes to pursue mainstream team sports in their off seasons. This model opens many doors for student-athletes, both during their time at Proctor, and beyond. 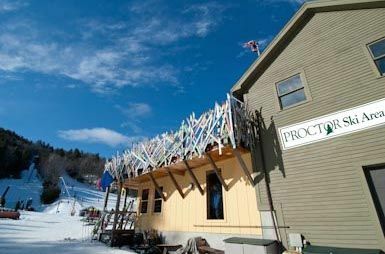 Proctor’s alpine program is unique among other boarding school models and ski academy models. Our goal is to work with our athletes to foster the skills, dedication and perseverance that will make them not just exceptional ski racers, but also exceptional young adults. Our athletic program is comprehensive. Contact Alpine Director, David Salathe, to learn more about Proctor's Eastern USSA/FIS Alpine Ski Racing program. Proctor's FIS and USSA skiers take part in three training camp opportunities around the world in late summer, mid-fall, and Thanksgiving training trips provide valuable on-snow preseason training. 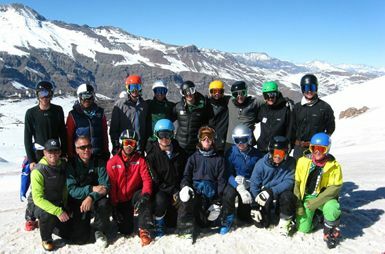 Proctor’s FIS and USSA skiers begin the season before they are even on campus, with a late summer training camp in El Colorado, Chile. 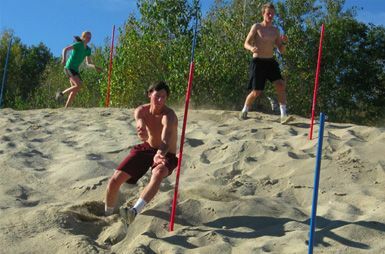 This fundamentals camp gives coaches the ability to assess the strengths of new athletes, and build on those returning. Much time is spent deconstructing technique and ensuring that athletes have a well established understanding of fundamental skills and tactics. A second mid-fall prep camp is offered to a select group of athletes based on academic and athletic performance. This camp focuses on high volume gate training for a short 1-week period and is held in France or Italy based on conditions. In November, a Thanksgiving Holiday camp borrows a few academic days on either side of the fall and winter term to give athletes a full 2 weeks of early season snow time. This camp focuses on honing comfort levels on new gear and making sure the fundamentals practiced during the summer camp are well established before progressing into gate training. Athletes return from this camp ready to dive into the season. Alpine athletes may choose to focus exclusively on strength and conditioning as their fall sport commitment building the strength, speed, agility and flexibility that will enhance their performance on the hill. The program is overseen by a dedicated strength and conditioning coach. Athletes may also choose to pursue a fall team sport in lieu of exclusive strength and conditioning. For those athletes, we offer a supplementary strength and conditioning program designed for each individual. These athletes are also supervised by our strength and conditioning coach, but are scheduled individually or in small groups depending on the athletes available time. We believe building a solid foundation for skiing begins with building a sound and strong athlete. Located within walking distance of campus, the Proctor Ski Area is the world’s finest high school-owned, private FIS homologated ski training facility featuring top to bottom lighting and snowmaking. Use of a Prinoth 350 grooming machine guarantees superb conditions throughout the season. Additionally, newly widened training and racing trails offer fully netted, full length training from December through March. The area hosts a variety of USSA and regional FIS races, as well as College Carnivals. One veteran coach observes, “The Proctor Ski Area is doing more for snow sports--vertical foot for vertical foot--than any other mountain in New England. Period.” Read more about the Proctor Ski Area HERE.